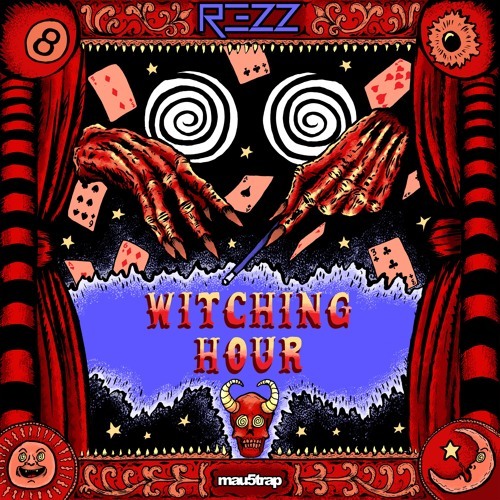 Out now on mau5trap is an eight-track album of wonder by your greatest dark techno artist REZZ. This is her second artist album and it is appropriately named ‘Certain Kind of Magic‘. In these songs, she takes her macabre and quasi-narcotic sounds into full throttle. It features hit singles ‘Witching Hour‘, ‘H E X‘, and ‘Flying Octopus‘. Watch out for this one, because something wicked this way comes. Following her 2017 Juno Award-Winning ‘Mass Manipulation’ album, this collection features collaborations with emerging artists like Deathpact, Kotek, 1788-L and Fytch. They all add battery life to her unique productions. Brimmed along with innovative singles, the album perfectly showcases her forward-thinking, menacing soundscapes, and unique mentality. Born in Ukraine, Rezazadeh began DJing at age 16, drawing inspiration from other artists until she saw deadmau5. There is a spidery thread that takes the listener’s desire and holds them with tension in her music. Amphibian like synths belch on ‘Teleportal,’ a collaboration with Kotek; the complicated fills will make you tumble like a rickety Jenga tower. ‘The Crazy Ones‘ with 13, relies as much on there absence of sounds as the presence of it. It’ll make you shiver with each drop that alternates between head bobbing bursts and muted pulsing bars. Like everything she creates, this whole album defies genre. We would call it space-like or creepy. I mean, just look at the album cover art. “she heavily f**ks with magic, aliens, and unsolved mysteries”. Ask any one of her legions of fans, identified as the Cult of REZZ. They’ll tell you that her mesmerizing shows transfer energy like a shaman trying to heal you. Our Persian-Ukrainian has truly become a trendsetter in the industry. Listen to the wicked album below.